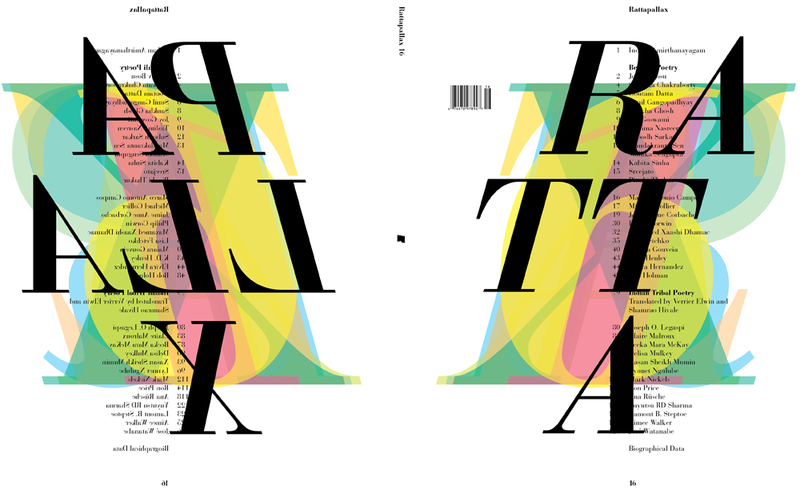 Above: Cover and back cover for Rattapallax 16, Fall 2010. 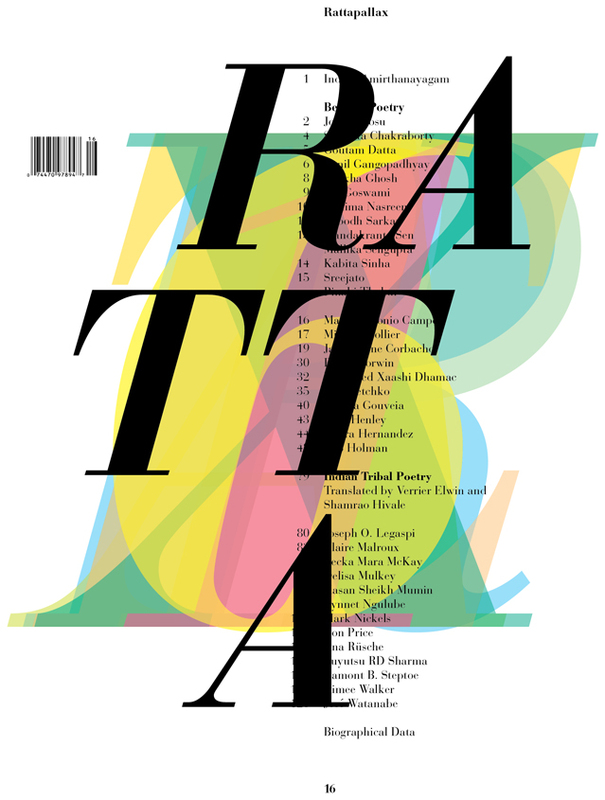 I worked with publisher Ram Devineni on this last issue of his magazine and noticed it is available for online viewing in the Rattapallax Issues section, see screen shot below. Above: Interior for Rattapallax 16, Fall 2010. 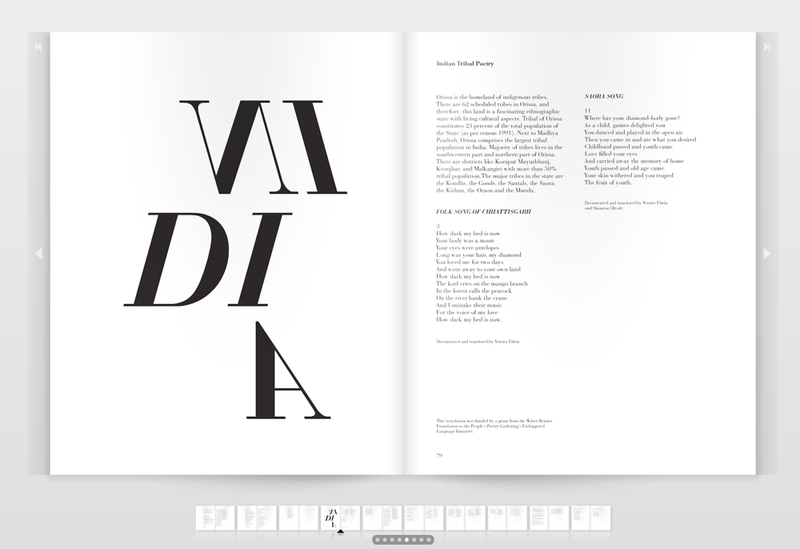 Ram features a collection of Indian Tribal poetry, Bengali poets and more. Part of the thrill of this job was trying to accommodate a variety of languages equally. 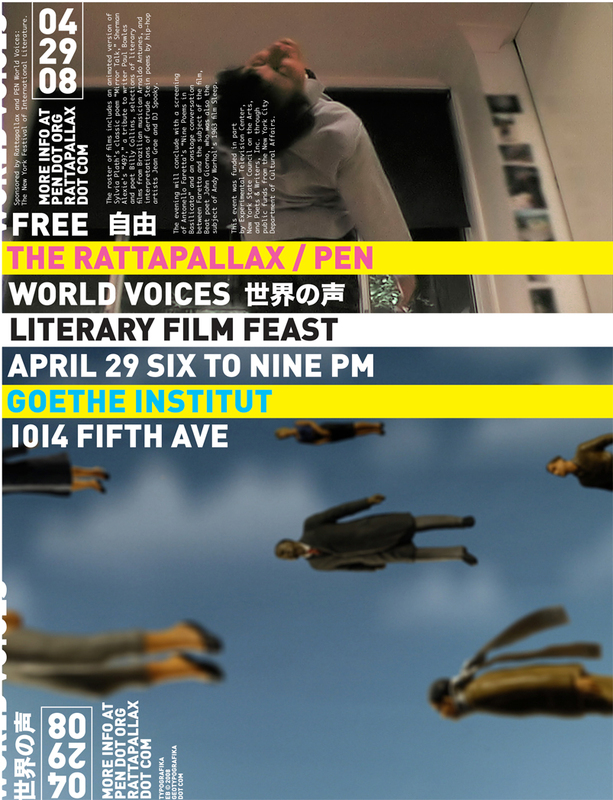 FFFound / Rattapallax 16: Rattapallax flyer found. This entry was posted by Erik Brandt on Saturday, March 20th, 2010 at 10:34 AM	and is filed under Aktuell, Education, Geotypografika, Globalization, Graphic Design, International, Internet, News Links, Typografika, Typography.